Bloom Energy, a leading developer of hydrogen fuel cells, has unveiled a new leasing program that could make fuel cells more available to businesses. The company has partnered with Bank of America Merrill Lynch in order for the sake of this program. Through the program, businesses will have unprecedented access to Bloom Energy Servers, powerful fuel cells that have garnered acclaim for their ability to produce large amount of electrical power without producing any emissions. The leasing program is meant to eliminate the high upfront cost associated with the acquisition and installation of hydrogen fuel cells. Bank of America has already committed funds to two projects related to the program. The first involves the installation of hydrogen fuel cells at the TaylorMade-Adidas Golf Company in California. The second project involves the use of hydrogen fuel cells at the Honda Center in Anaheim, California. Both groups will use the fuel cells from Bloom Energy in order to power their facilities. Bank of America has devoted $50 billion toward the support of environmentally friendly business and clean technology. 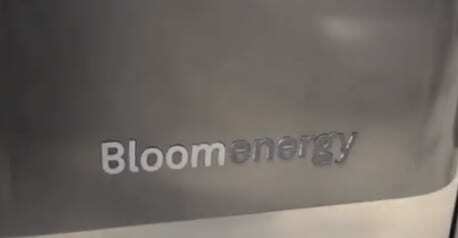 The bank has committed some of these funds to the leasing program from Bloom Energy in the hopes that the money will accelerate the deployment of the company’s promising hydrogen fuel cells. Bloom Energy’s fuel cells have been used by businesses throughout the U.S., and one of its most prominent clients is technology giant Apple. Apple uses Bloom Energy fuel cells to power its largest data center located in North Carolina. To date, these fuel cells have not encountered any significant problem and have kept the data center power around the clock. Eliminating the upfront costs associated with hydrogen fuel cells may create an ideal opportunity for many businesses to finally get their hands on these energy systems. Fuel cells are infamously expensive normally due to their excessive use of platinum. By eliminating the upfront costs of fuel cells, businesses will no longer have to justify whether a massive initial investment would be worth the benefits that could be had through the use of hydrogen fuel cells.